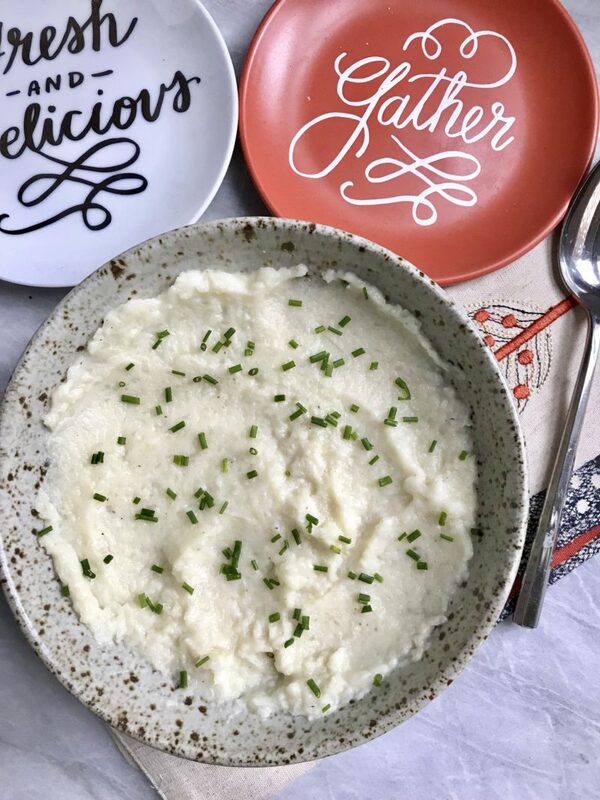 If you want to lighten your Thanksgiving meal this year, mashed cauliflower is the perfect option! The holidays are around the corner which means COMFORT FOOD! I love Fall/Winter because you spend more time with your loved ones enjoy delicious food and making lasting memories. If you didn’t know, I love cauliflower. Seriously…I CAN’T GET ENOUGH! Roasting it, making creamy sauces…the possibilities are endless. 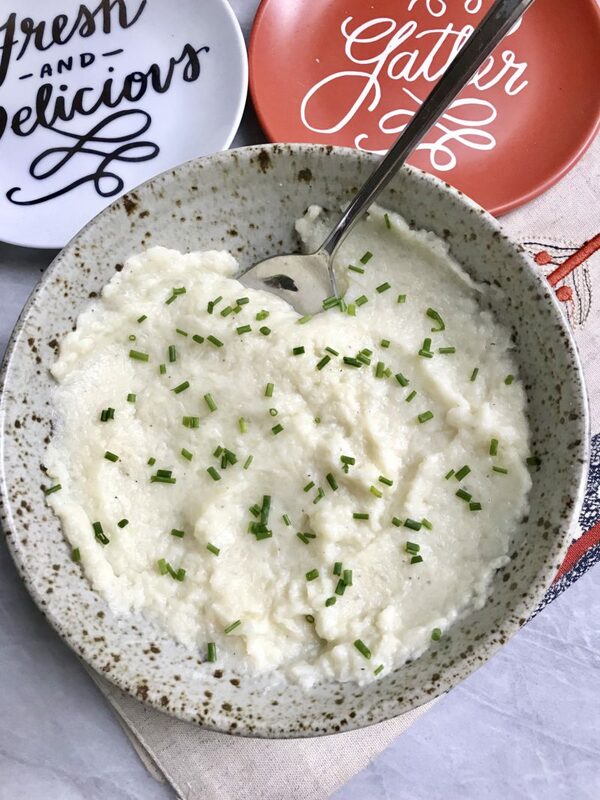 I also really like to make mashed cauliflower. It tastes exactly like mashed potatoes but on the lighter side! 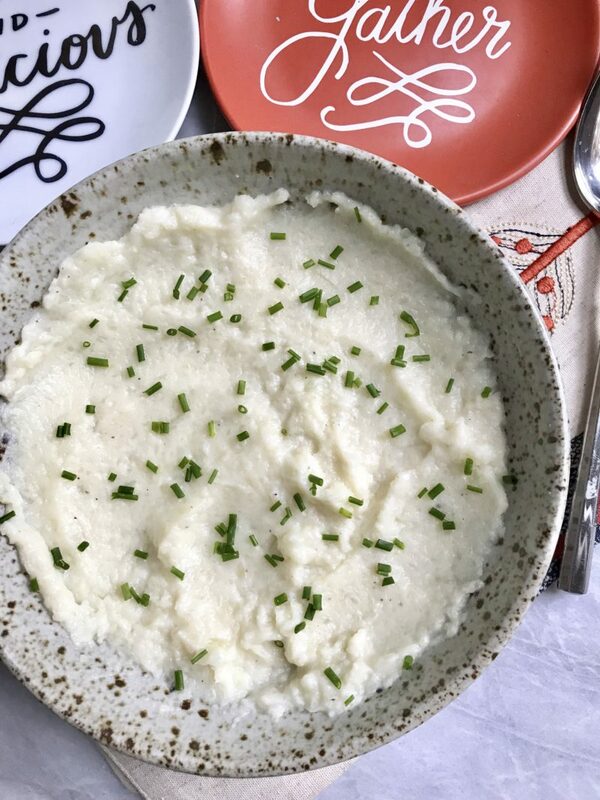 Mashed cauliflower is probably my favorite holiday side dish. It’s creamy and comforting and just instantly reminds you of the holidays. I like to top mine with chives but you could top yours with green onion, parsley, or whatever fresh herbs you prefer! If you make any of my recipes, don’t forget to tag me on Instagram @plantbasedjane so I can see! Drain your cauliflower and add it back to your pot. Add in your remaining ingredients (except chives) and mash until combined. Transfer to a bowl and top with with your chopped chives! Love your recipes! Where did you get your bowls? I’m in love with them!